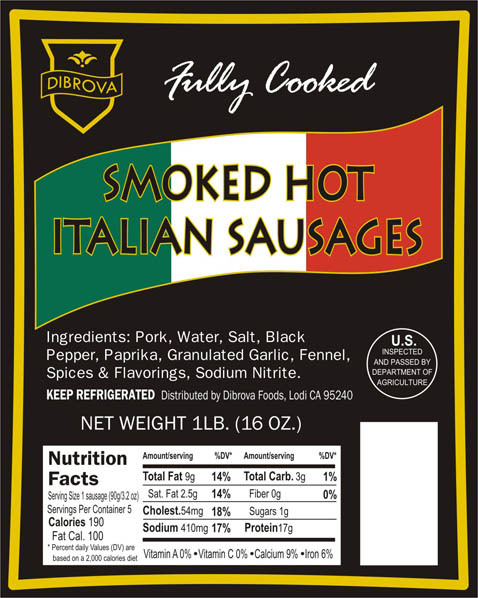 A mildly hot sausage made with lean pork and traditional Italian spices – fennel, basil and oregano. The light smokiness adds so much to the flavor. Exceptional aroma when grilled. Great with pasta or used as a gourmet pizza topping. Have a couple left over? Make them into a quick soup with chicken stock, white beans, kale, garlic, a drizzle of olive oil and a sprinkle of parmesan cheese. No msg, gluten-free.